Reversible Beanie. Pieced Brain. Design by Sarah Penderson. There is not a lot of sewing going on in my studio right now as I am swamped writing quilt patterns. However, knitting has helped me relax or occupied the early (really early!) morning hours when I cannot sleep. I finished this beanie over the weekend and have already mailed it to my niece. The yarn is Deborah Norville's Everyday collection by Premier Yarns - I love it because it is very soft and easy to work with. I also like how the colors turn out when the Beanie is ready. Total winner for me. 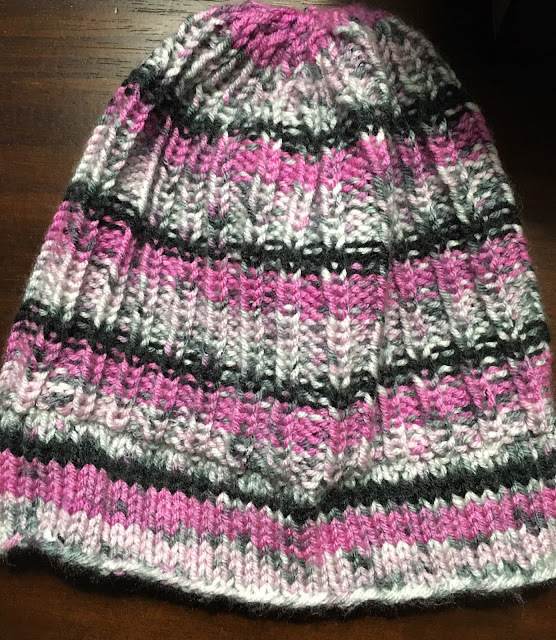 The pattern is called Reversible Rib, Reversible Hat by Sarah Penderson and is a free download from Ravelry. In my haste to mail the hat I failed to take a picture of the inside of the hat so you will have to trust me - it is reversible. 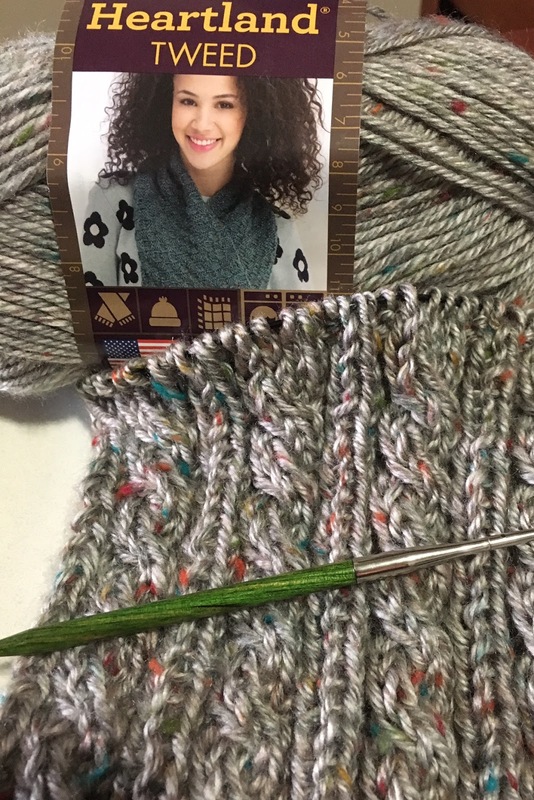 Now I am knitting a scarf, this one using Heartland Tweed yarn by Lion Brand yarns. The pattern is a simple cable which I found at Ravelry, in the middle of the night, and am happy I memorized it because I did not save it on my laptop, did not bookmark the blog it came from, and have spent a while trying to find it to mention it here, to no avail. Dang it. There are many sewing projects I would love to work on right now, but deadlines are deadlines. 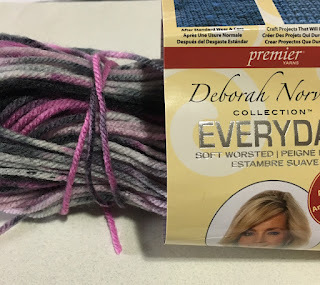 Since pattern writing is not something I can do at night when the brain needs a break, knitting provides a soothing repetition of steps and the outcome is often soft, wearable, and quick. Here's hoping you are having a fun and productive day!